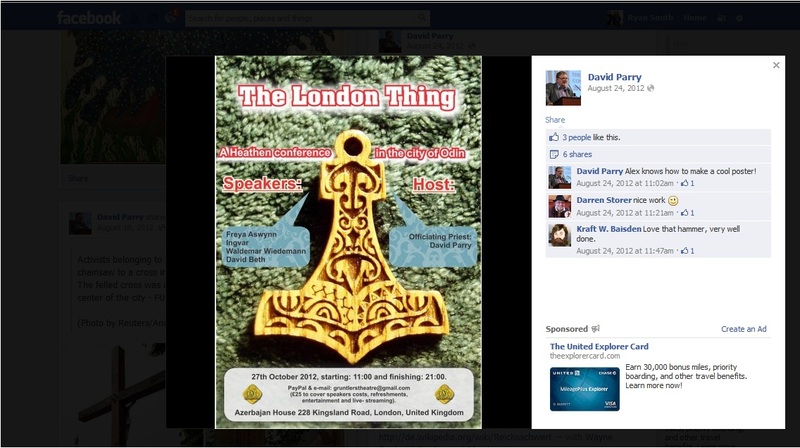 David William Parry is a man on the rise in the London Heathen community. Parry has made a name for himself as a Heathen Priest of Nerthus, a poet, and a playwright. Most well-known for organizing the London Thing in 2012 which was attended and blessed by Freya Aswynn, Parry is growing increasingly active and visible. By all appearances he is a man who should be welcomed. He is educated, an artist, and runs a play company. Only on further examination does the real David Parry come to light. Our investigation into David Parry began following the discovery of several essays and publications on the Counter-Currents site which claim Paganism is an inherently racialist belief system. This prompted us to dig in to the ties between individual Pagans and Heathens with the neo-fascist movement. While we were aware of Parry thanks to his efforts in organizing the London Thing we were very surprised when we found this video posted on the Counter-Currents page, which was also posted on the London New Right YouTube channel, where Parry gave a talk followed by question and answer on Odinism at the 42nd London New Right Forum, a regular event organized by known neo-fascist Troy Southgate. Southgate is one of the founders of a sect of neo-fascism known as National Anarchism. The so-called National Anarchists claim to be anarchists while espousing overtly fascist ideas like racialist segregation and ethnic purity, forcefully appropriating anarchist and libertarian socialist symbols and slogans to camouflage and promote their cause. Their actions are very much like how the Nazi Party of Germany and the Fascist Party of Italy appropriated the symbolism of their cultures’ past and the neo-Nazi movement in the 70s and 80s appropriated the working class skinhead subculture. During his talk Parry makes a number of statements which were, to us, extremely alarming to hear coming from any person. In his talk he argues the modern revival of Heathenry is a potent weapon for opposing corporate globalization, claiming repeatedly that anarcho-primitivism and Heathenry are virtually one and the same. By returning to the “natural” religion of the people of England, says Parry, it is possible for great political change to take place. To support his argument he makes several claims which are, put bluntly, patently untrue, starting with his assertion that the Salem Witch Trials were a reaction by Puritan clergy against the threat of resurgent Heathenry. He continues by making numerous claims about Heathen practice, including his assertion that recent legislation in Ecuador and Bolivia (enshrining the rights of nature in their constitutions) is Heathen, that “to a certain extent these divisions (between Pagan traditions) are meaningless,” while simultaneously arguing “I have this ridiculously old-fashioned belief that divisions are important, that there is something beneath the division”, and then invokes the classical four Hermetic elements in claiming Heathenry is “a religion of living earth, conscious air, breathing fire, and liquid water”, and finally saying Heathenry “can’t point to a scripture”, so “therefore we can’t appeal to tradition”. These claims, while demonstrably and laughably false in many places, were only the tip of the iceberg. During the question and answer section, in response to a question on race, Parry said, “on a biological level, on a genetic level there are only five races known of,” that, “even science is beginning to admit there are other types of human being, hobbits are now an official theory,” and finally, “race is absolutely vital for an understanding of who you are, what you are, and where you are going”. These statements made in support of scientific racism, very much in line with the rhetoric, ideas, and arguments made by organizations like Counter-Currents Publishing and the American Freedom Party, raised several bright red flags for us. The discovery of this video prompted us to do further digging into the man who claimed he spoke for the Heathen community thanks to having been “initiated by Freya Aswynn a couple of weeks ago,” and his adoption “by Asatru, Vanatru, Odinists, and Wotanists”. 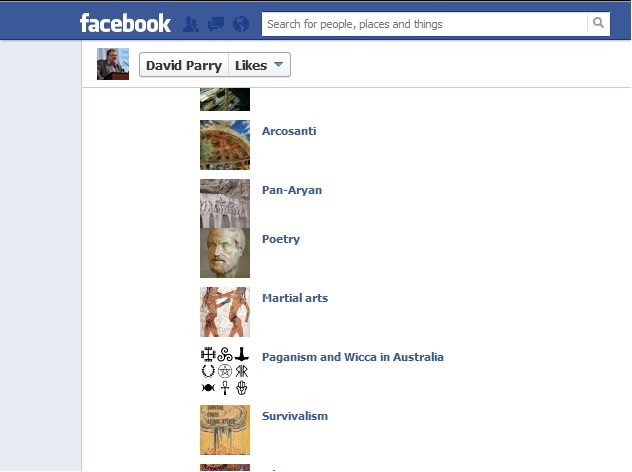 What we found only served to crystallize our fear that David Parry is a neo-fascist. 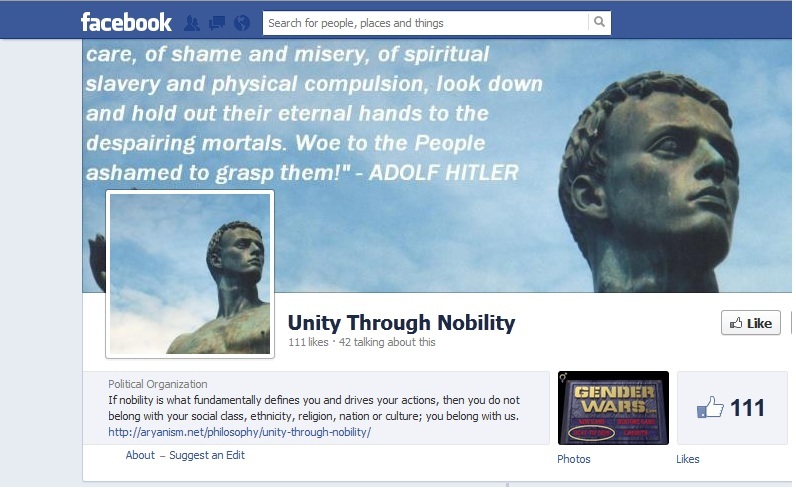 Which has a quote from Adolf Hitler in its banner and links itself to aryanism.net! Which prompted us to do some further digging. 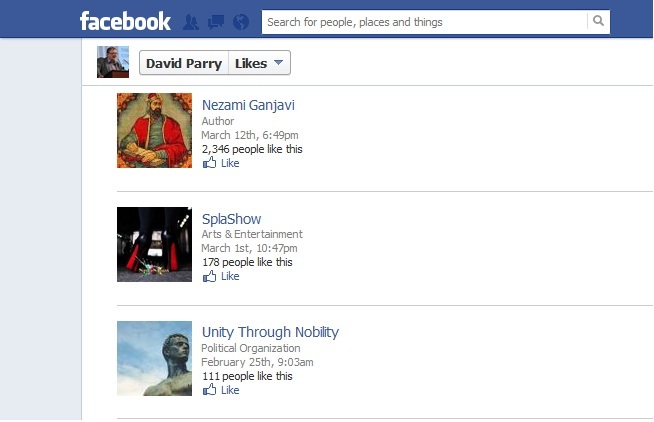 It turns out that David Parry has attended other neo-fascist events, though not always as a speaker. In June of 2012 Parry worked the table for New Right publisher Arktos Media at the infamous Iona Forum, a venue known for its overt support of holocaust denial, neo-fascism, and neo-Nazi ideas. 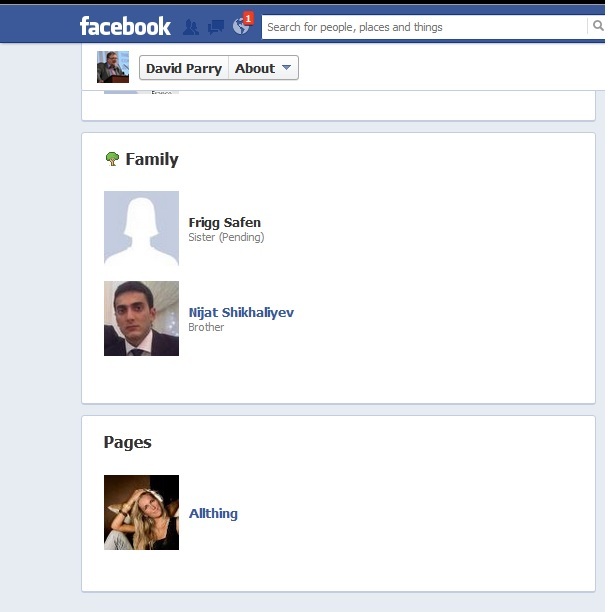 Parry’s ties to far right neo-fascist politics are of concern to Heathens on both sides of the pond. His participation in far Right politics mirrors actions by some prominent American Heathens. Both Steve McNallen and Edred Thorsson have published essays in the “radical traditionalist” journal Tyr. Valguard Murry has participated in racialist organizations including Else Christensen’s racialist Odinist Fellowship which claimed a synthesis of Heathenry and white nationalism. Freya Aswynn, who initiated Parry as a Priest of Nerthus at the London Thing, has given unfortunate interviews as well. Such associations with racialists, neo-fascists, and neo-Nazis at the least lends all of these people unwarranted credibility and at worst suggests outright collusion. Even assuming such actions are completely innocent, it creates the appearance that Heathery openly supports, if not at least tolerates, racialist ideologies. These ties are only part of our concerns and objections to Parry. Not only is he openly associating Heathenry with a racialist, fascist agenda, he is blatantly misrepresenting it in the process. Whether invoking the four classical elements of Hermetic mysticism, asserting there are no real differences between the major Pagan practices, or his attempts to claim that the actions of the Bolivian and Ecuadorian governments are somehow “Heathen”, these are not the worst distortions he commits. Most Heathen groups, contrary to Parry’s claims, have a deep respect for tradition and the surviving Heathen lore. The most crucial element of the lore is the sagas of Scandinavia, the most famous and central of which are the Poetic and Prose Eddas. While they are not treated as infallible holy writ in the same fashion as the Bible or the Koran, it would be equally inaccurate to claim Heathens “can’t point to scripture” and “can’t appeal to tradition.” The free intermixing of different practices, false claims regarding basic facts, and claims of Heathenry being the ancestral religion of all English people regardless of England’s diverse heritage and history are laughably hypocritical in light of his denunciation of “puritanical universalist globalism”. Of course such claims are not surprising coming from a man who claims his “own critique of anarchism as a movement is also one of its blessings,” and that he is on Monsanto’s hit list. 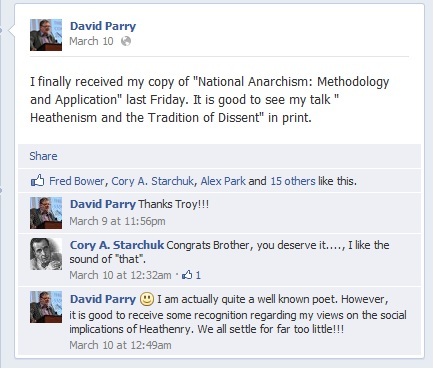 Furthermore, Parry’s attempts to politicize Heathenry by claiming it is practically the same as his interpretation of anarcho-primitivism and his assertions that Heathenry has tremendous political potential are truly disturbing to say the least. While some have accused Circle Ansuz of doing the same thing, from where we stand any attempts to turn Heathenry into a platform for a specific political ideology runs contrary to our principles as Heathens and anarchists. As Heathens we understand the beliefs, ideas, and perspectives of the ancients were developed in a specific time and place which predates all modern political ideology by several centuries. Claiming Heathenry is inherently liberal, conservative, or any other modern ideology diminishes what Heathenry is. As anarchists we hold that in the world there are no sources, people, or ideas which can lay claim to absolute, uncontested, perfect truth. Dogma and declarations of absolute knowledge are just as contrary to our ideas as fire is the opposite of ice. We do not claim to have all the right answers or that Heathenry is inherently anarchist anymore than it is inherently capitalist, communist, or fascist. We present our perspective as an answer to life’s many challenges, unlike Parry who claims anarcho-primitivism and Heathenry are one and the same. While Parry claims his way is the right way, we reply in the words of Errico Malatesta: “We anarchists do not want to emancipate the people; we want the people to emancipate themselves”. ← EMERGENCY MOBILIZATION IN SACRAMENTO, CA NOON SATURDAY!